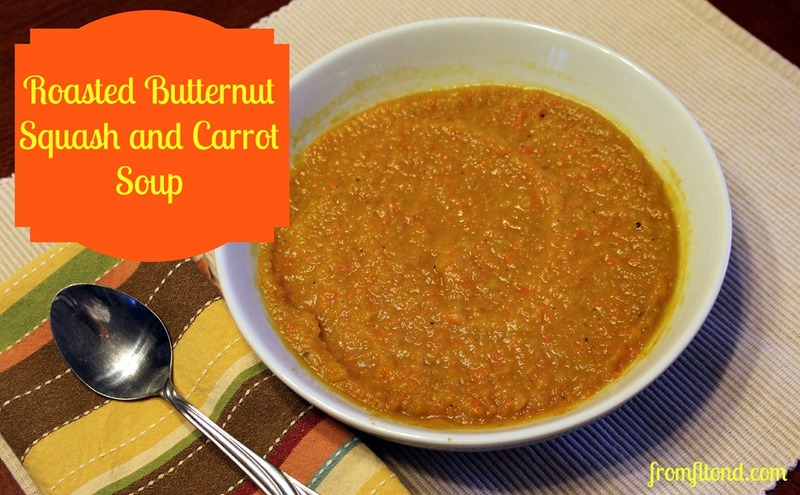 This is my favorite soup of all time, always has been and always will be. There is nothing like having a big bowl of this anytime of year. However, after living in the coldest place on earth, I have an all new love for any heartwarming foods…especially this soup. 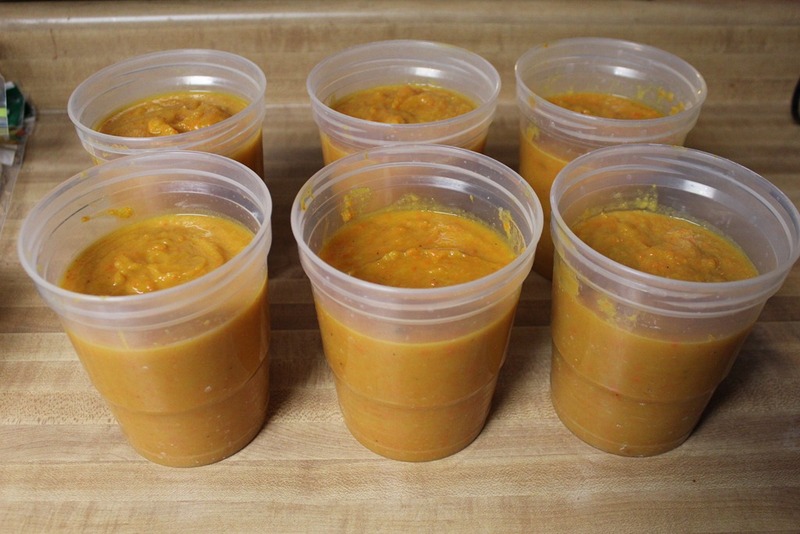 I make a ton of this soup every year and freeze it, and it freezes perfectly! This way I can pull it out anytime and have a wonderfully warm meal ready in no time! 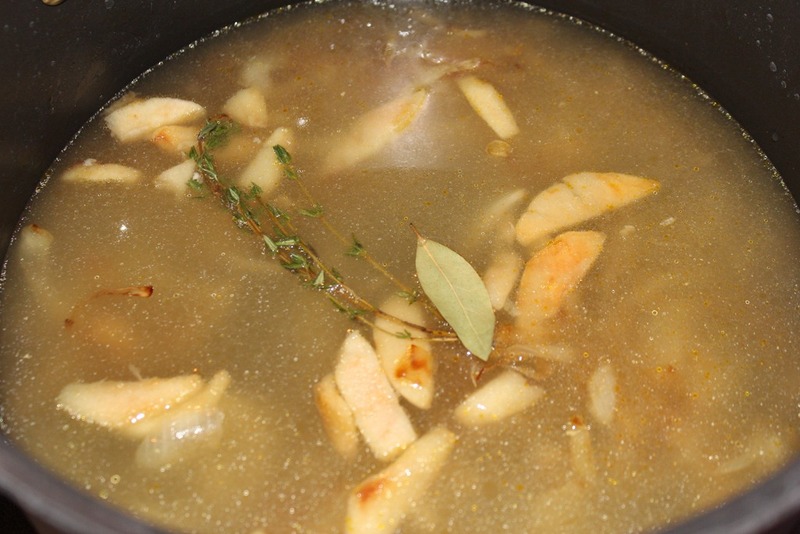 Sometimes I add shredded chicken breasts to my soup to add an extra healthy protein. Usually I use the fresh roma tomatoes from our garden, but this year nothing grew right (except for our apple trees) due to our wonderful drought. We had a sunny and hot summer up here, and I loved it. While the locals swore about the heat, I was outside living it up like the Floridian that I am! 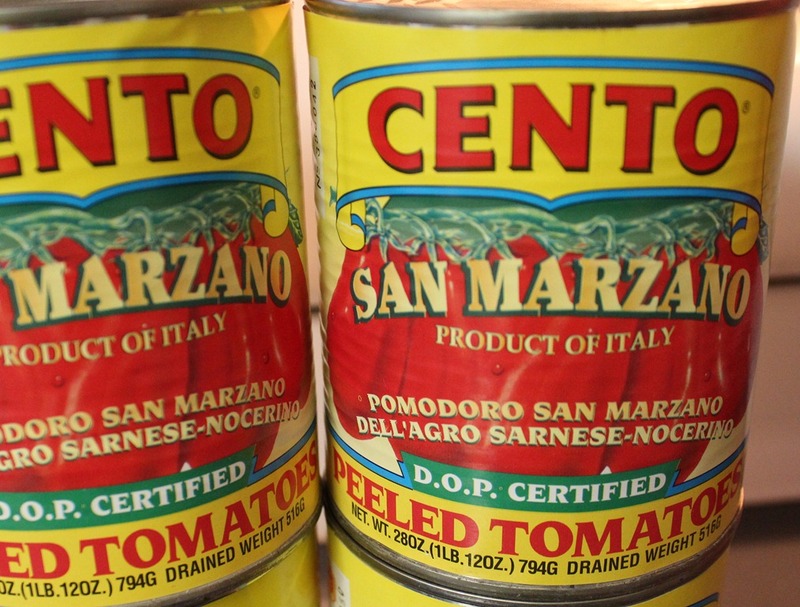 Anyway, I digress…In this recipe I use canned San Marzano tomatoes. Please feel free to use fresh tomatoes if you like. If you do, you may want to run everything through a food mill instead of a food processor or immersion blender. This will keep the tomato seeds and skin from getting into the end product. 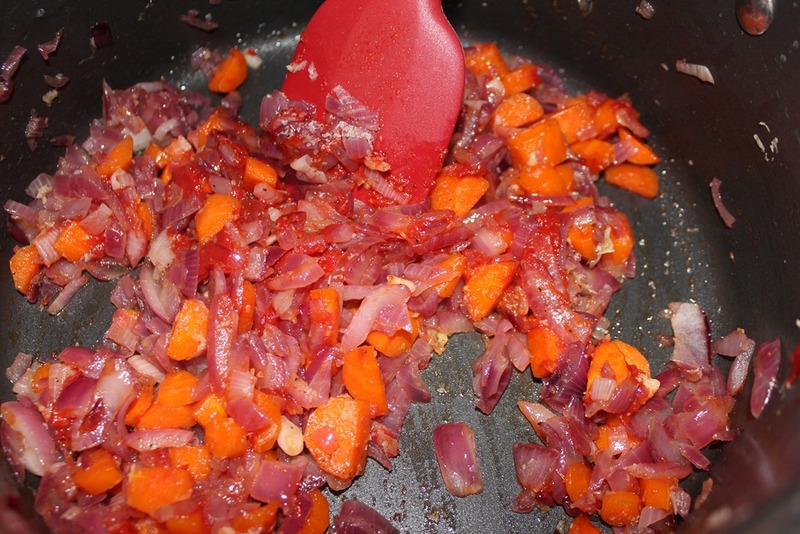 In a large pot over medium heat, add the diced onion and carrots. Sautee until soft…about 10 minutes. 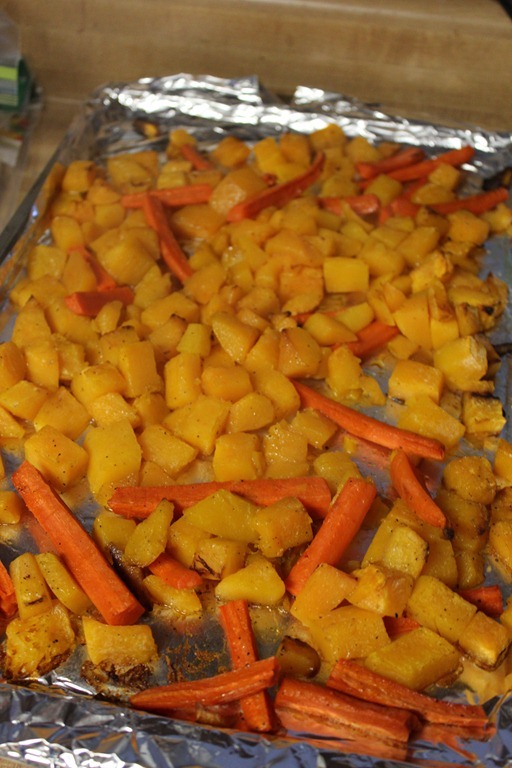 Once the veggies have softened, add the garlic cloves. Sautee the garlic for a few minutes. I use a shredder (just like Rachel Ray) to mince my garlic. It is so much easier. Then, stir in the tomato paste. 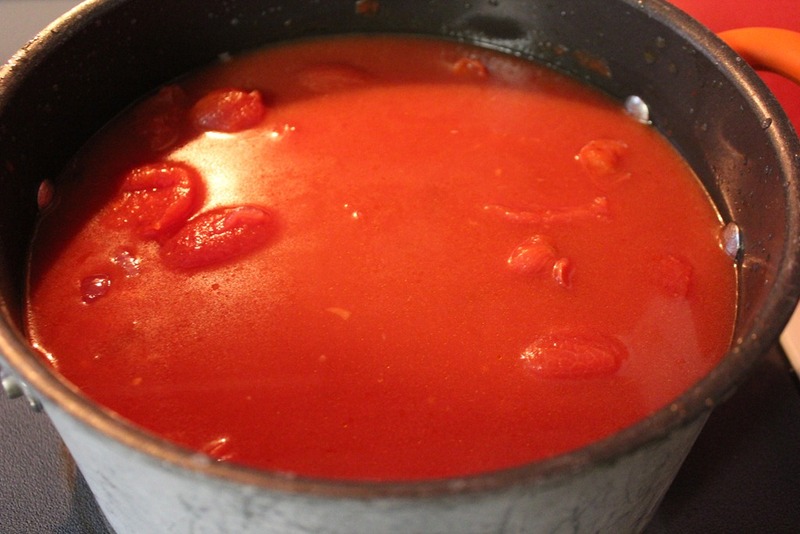 Once the tomato paste is sticking to all the veggies, add the cans of tomatoes, basil, sugar, salt, and pepper. Next, add the chicken broth and stir to combine all the ingredients. Now for the secret ingredient….Parmesan Cheese rinds. 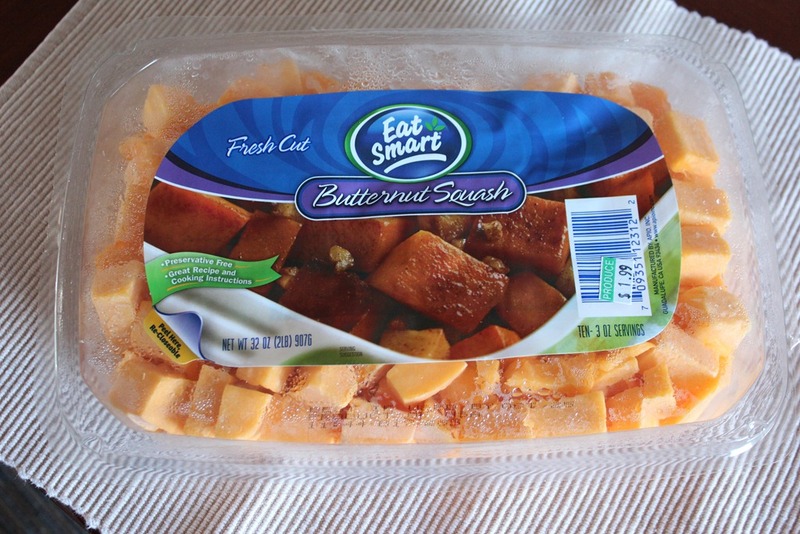 I always save the rinds from my parmesan cheese in a bag in the freezer for soups and stews. They “make” the soup. This is a little trick I learned while in Italy one time. If you don’t have any don’t worry, but if you do…add two of these little guys to the pot of soup. 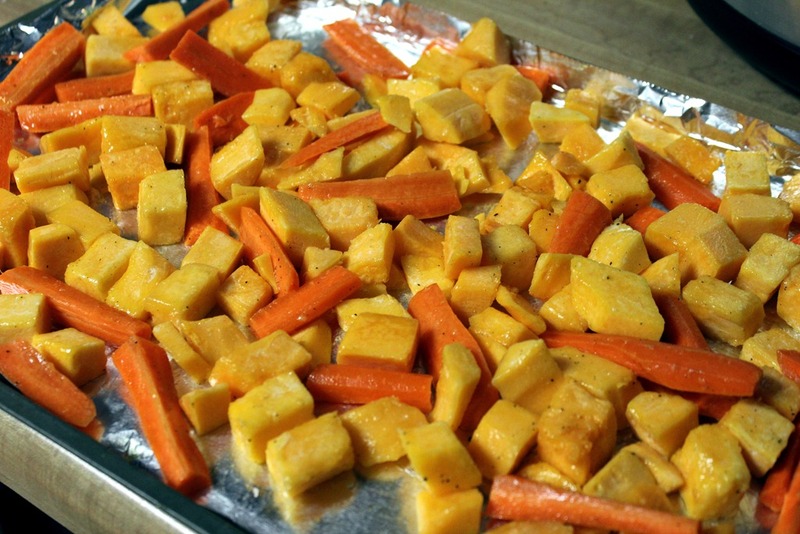 After you add the rinds, bring the soup to a boil. Then, reduce the heat and simmer for about 40 minutes. 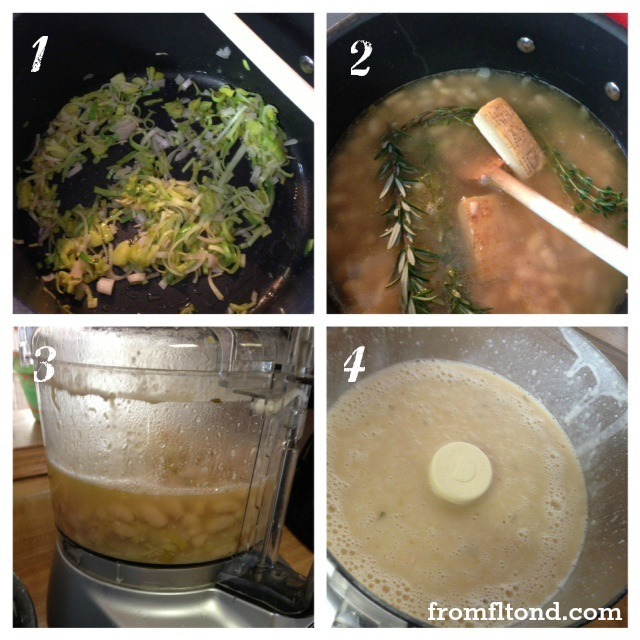 Either use a food processor, immersion blender, or food mill to puree the soup to the consistency you like. Don’t forget to remove and throw away the Parmesan cheese rinds first!!!! 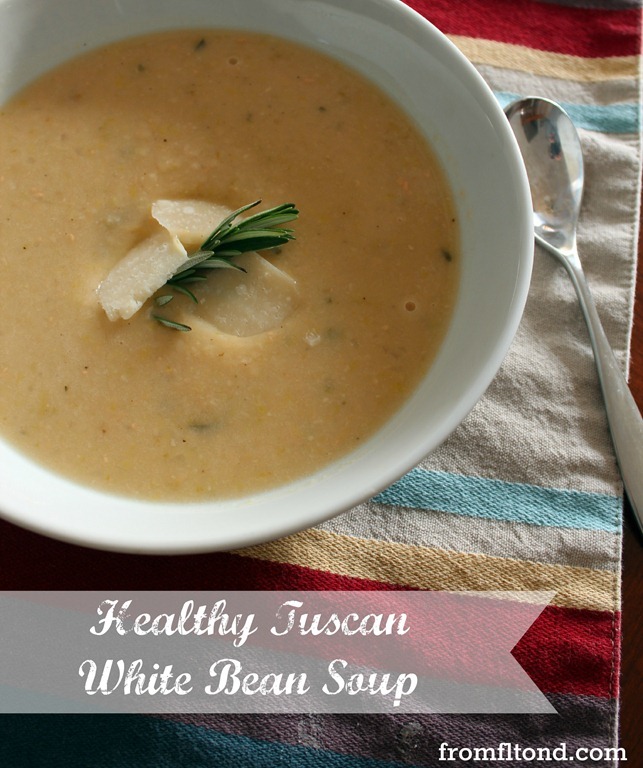 Place the soup back in the large pot and add the heavy whipping cream. Add any extra salt and pepper to taste at this point. Serve in large bowls (trust me you will want a lot of this) and garnish with basil and shredded Parmesan cheese. Make sure you have some crusty bread for dipping too!! 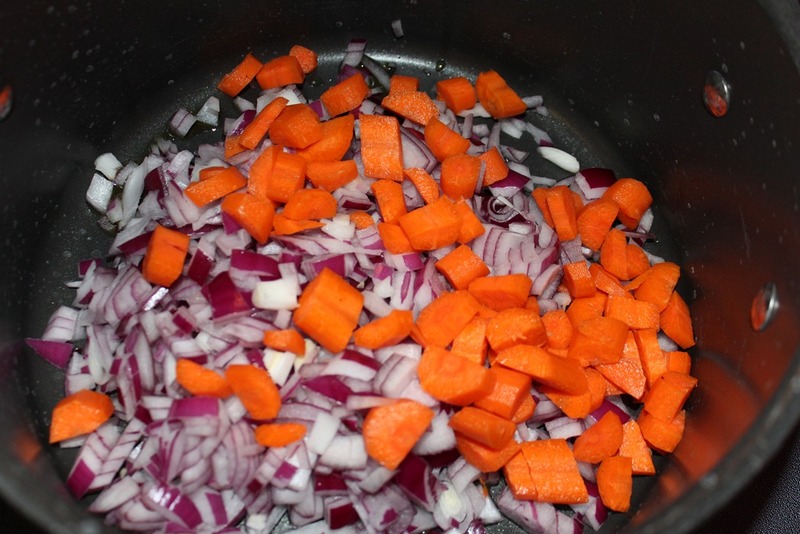 In a large pot over medium heat, add the diced onion and carrots. Sautee until soft…about 10 minutes. 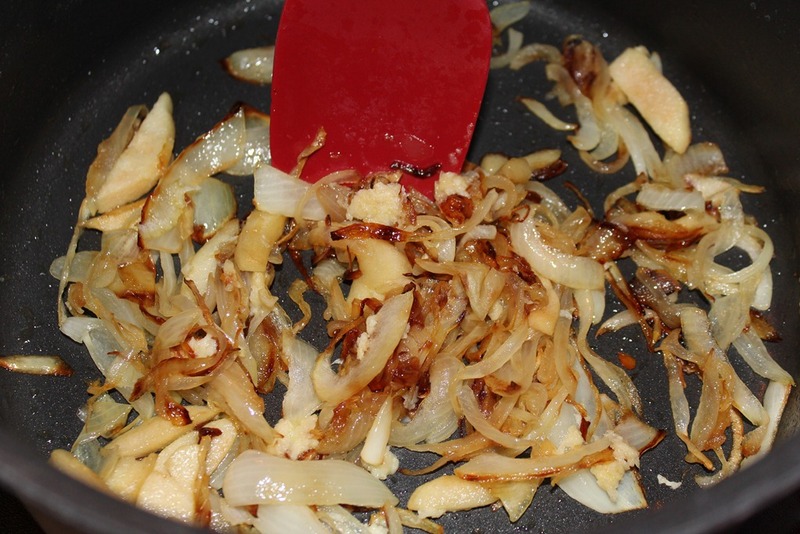 Once the veggies have softened, add the garlic cloves. Sautee the garlic for a few minutes. I use a shredder (just like Rachel Ray) to mince my garlic. It is so much easier. Then, stir in the tomato paste. 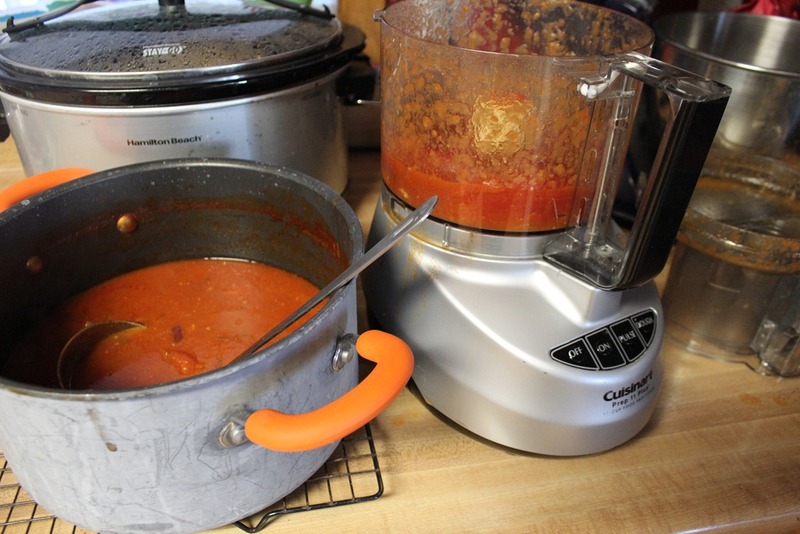 Once the tomato paste is sticking to all the veggies, add the cans of tomatoes, basil, sugar, salt, and pepper. Next, add the chicken broth and stir to combine all the ingredients. 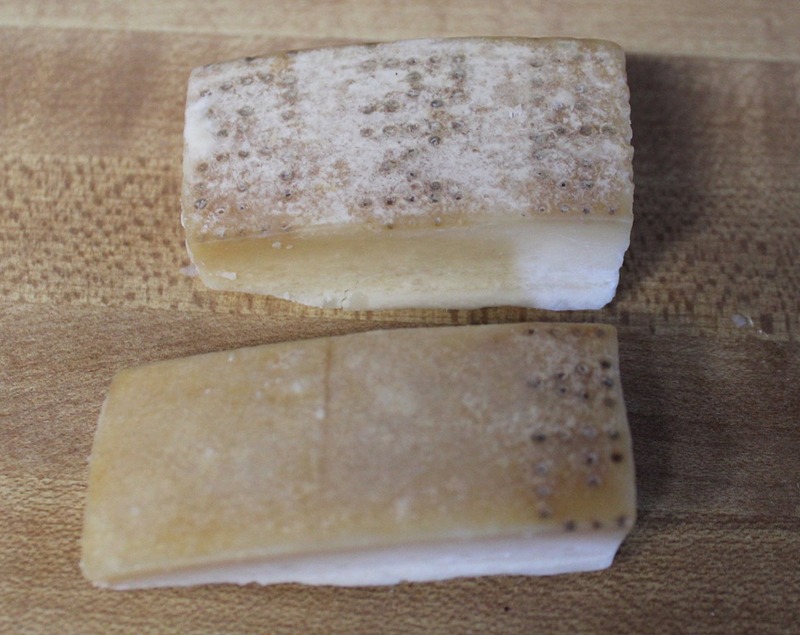 Now for the secret ingredient….Parmesan Cheese rinds. I always save the rinds from my parmesan cheese in a bag in the freezer for soups and stews. They “make” the soup. This is a little trick I learned while in Italy one time. If you don’t have any don’t worry, but if you do…add two of these little guys to the pot of soup. 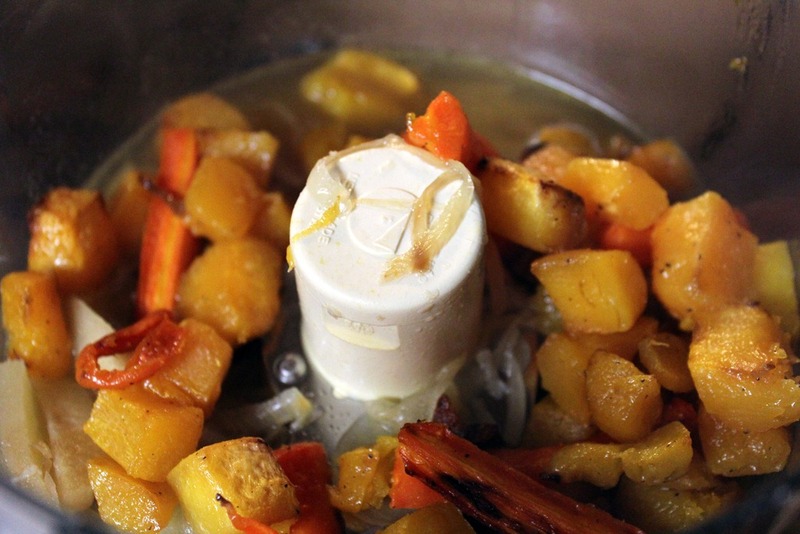 After you add the rinds, bring the soup to a boil. Then, reduce the heat and simmer for about 40 minutes. 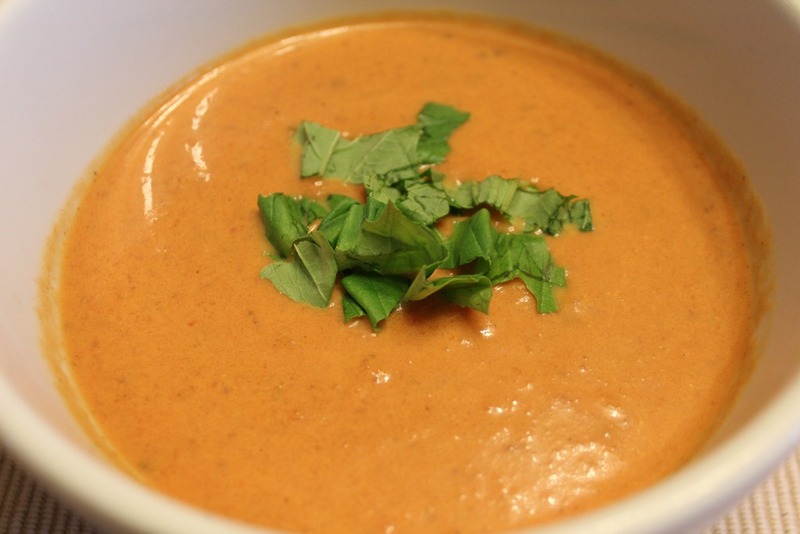 Either use a food processor, immersion blender, or food mill to puree the soup to the consistency you like. Don’t forget to remove and throw away the Parmesan cheese rinds!!!! Place the soup back in the large pot and add the heavy whipping cream. Add any extra salt and pepper to taste at this point. Serve in large bowls (trust me you will want a lot of this) and garnish with basil and shredded Parmesan cheese. Make sure you have some crusty bread for dipping too!! 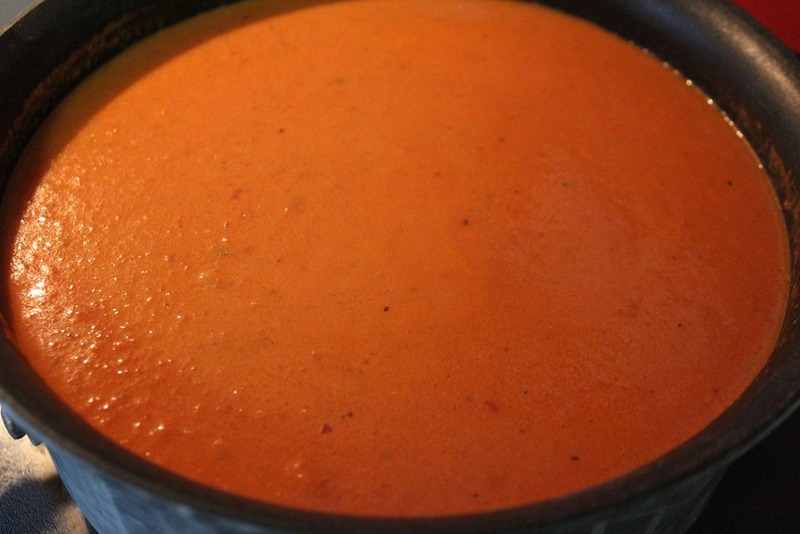 This entry was posted in Recipes, Soups and tagged creamy tomato basil soup, san marzano tomatoes, tomato soup on October 25, 2012 by fromfltond.